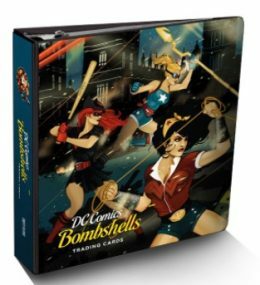 Using DC's statues and comics as inspiration, 2017 Cryptozoic DC Comics Bombshells applies the pin-up art to cardboard for a 1940s look at female (and some male) characters in the DC Comics lineup. 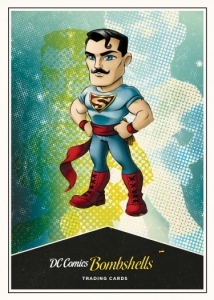 Each box includes one sketch card and one vinyl figure. Based around the timeframe that includes World War II, the alternate history puts DC heroes into the story with a style to match the era. 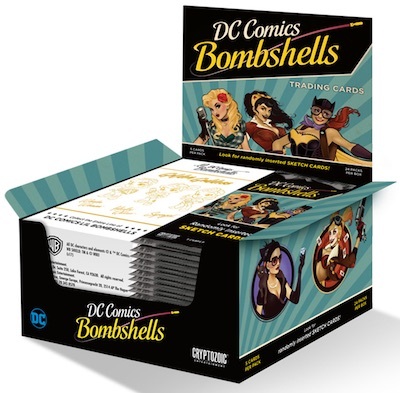 The base set contains 60 cards with images from DC Comics Bombshells issues and Ant Lucia artwork. 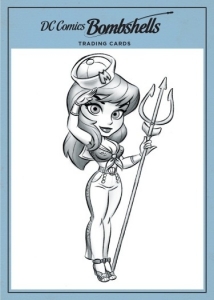 The base and chase inserts also showcase drawings that influenced the DC Bombshells and Lil' Bombshells figures from Cryptozoic. 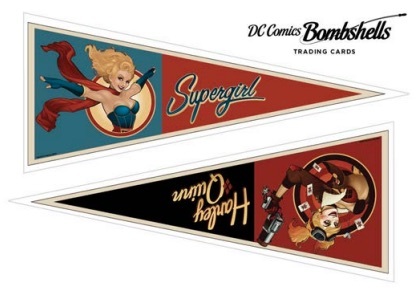 Shop for Cryptozoic DC Bombshells Figures on Amazon. 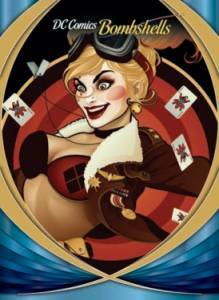 Inserts include Characters and Lil' Bombshells, each at 1:2 odds, as well as Bombshells Men (1:8 packs). More rare are the CZ STR PWR cards. 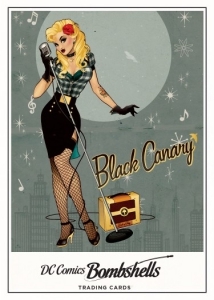 In addition to Foil Board and Printing Plate parallels, collectors can find one hand-drawn Sketch card (1:24 packs) in every box of 2017 Cryptozoic DC Comics Bombshells. 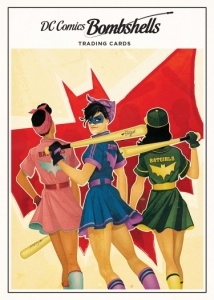 Although predominately a trading card set, 2017 Cryptozoic DC Comics Bombshells has a direct connection to the vinyl figures from Cryptozoic. 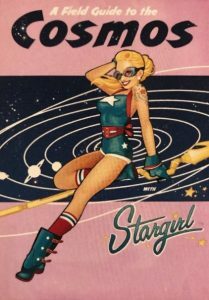 Tying further into this, each hobby box contains one Golden Goddess variant figure from the DC Lil' Bombshells line. 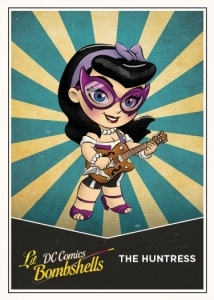 An early teaser, Promo cards are not found in packs and instead are issued at select events leading up to the release. There is also a special binder with an exclusive card. 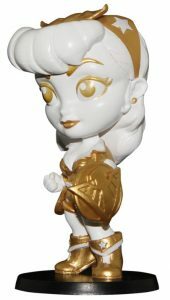 Collectors may remember that Funko produced a set of DC Bombshells figures under their Pop! vinyl brand. PARALLEL CARDS: Copper Deco Foil (1:3 packs)*, Rainbow Foil Board (1:8 packs)*, Printing Plates (1:250 packs)*. VERSIONS: Red (1:144 packs), Silver (1:288 packs), Gold #/25, Black 1/1. 3 figures. 1 per box. 93 artists. 1 sketch card per box.